I love the arty stuff that pops up at Uniqlo now again. None more so than these Piet Mondrian tote bags. The range has been produced to coincide with the Star Wars: The Force Awakens movie release. But the old school imagery on these Star Wars padded tote bags at Uniqlo is the real selling point here. 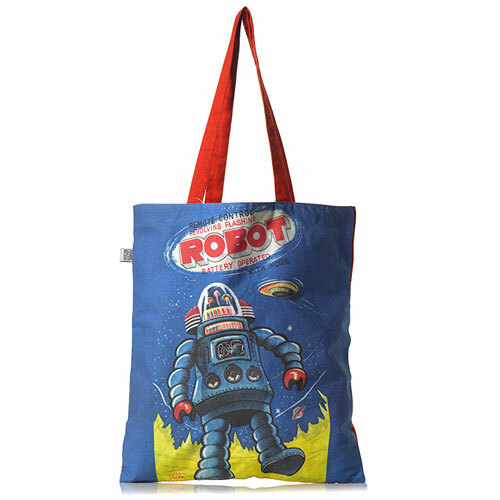 The designer certainly isn’t a new name, but these Lisa Larson retro-style tote bags at Uniqlo are a new product and an online exclusive at the retailer’s website. Bargain of the day as far as we are concerned are these limited edition Keith Haring tote bags at Uniqlo.